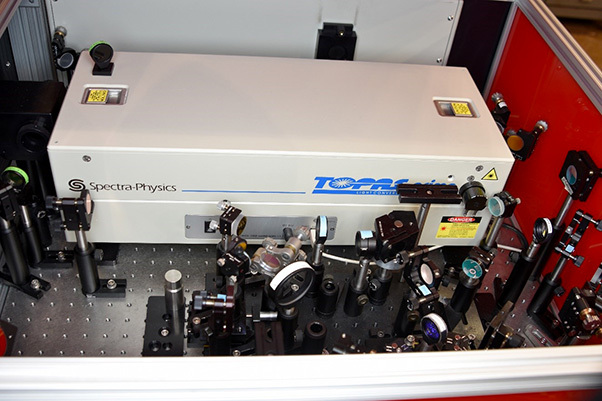 Pictured is the additional optics used by AEDC Hypervelocity Tunnel 9 to convert a recently-developed laser diagnostics system to a Coherent anti-Stokes Raman Spectroscopy system. The new measurement system is paving the way for a Mach 18 testing capability at Tunnel 9. The team at AEDC Hypervelocity Tunnel 9 in White Oak, Md., is paving the way for testing at unprecedented speeds in part by using a recently developed measurement system. Advanced laser diagnostics were developed and demonstrated to better understand the Tunnel 9 flow field thermodynamic properties and inform the Computational Fluid Dynamics (CFD) engineers’ development of a new Mach 18 capability at Tunnel 9. Originally conceived to test at Mach 20, Tunnel 9 has thus far achieved Mach 14, the highest speed in any AEDC wind tunnel. 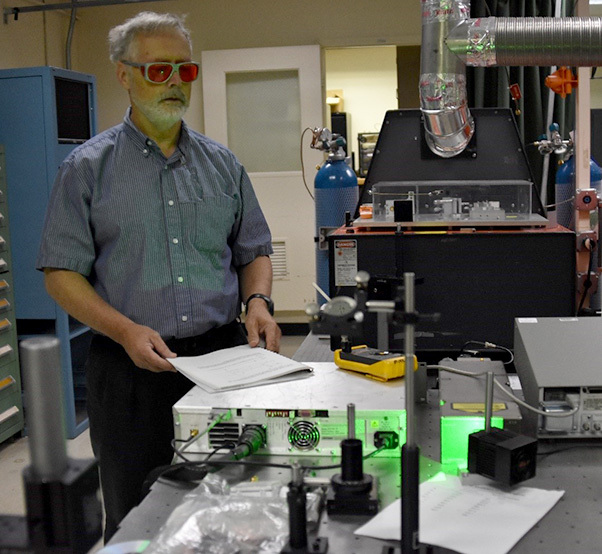 Laser diagnostics are optically-based measurements applied to the wind tunnel flow field to measure fundamental properties of the test gas such as temperature, density, pressure and velocity. The upgraded laser diagnostics are used with the CARS process to gather information about the gas molecule to which it is applied. AEDC Hypervelocity Tunnel 9 Advanced Diagnostician and physicist Michael Smith works in the Tunnel 9 Laser Lab. 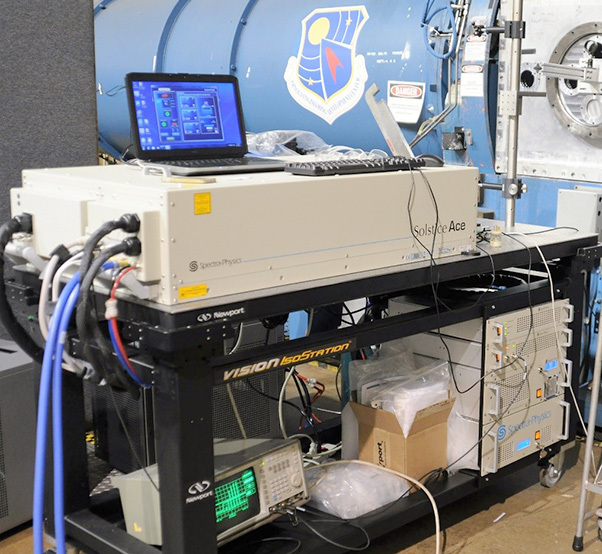 Recently-developed advanced laser diagnostics are helping pave the way for a Mach 18 capability at Tunnel 9, an AEDC facility located in White Oak, Md. The technology used to measure sample speed and capture flow physics has improved since CARS measurements were first applied to the Tunnel 9 Mach 14 flow field in 2004. “As we improve our diagnostic technologies, we can learn much more about the quality of our flows,” Smith said. “Precisely measuring temperature, velocity or other qualities improves our understanding of the physics and helps our customers get accurate results. Recently, through the Small Business Innovative Research (SBIR) program, a laser system provided the first non-intrusive, direct velocity measurement capability, which was then converted to a CARS system with additional optics and hardware. This produced an additional gain in signal of a factor of approximately 1,000, Smith said. 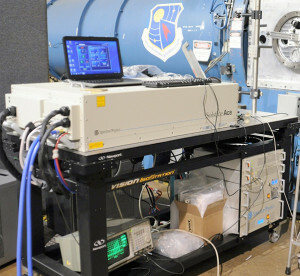 The high-speed laser system, pictured, non-intrusively measures the velocity of the flow field at AEDC Hypervelocity Tunnel 9. The lower uncertainty of measurements through the utilization of this system are helping Tunnel 9 reach its goal of testing at speeds of up to Mach 18. “The result was a data rate of 1kHz and a much higher signal-to-noise ratio and, thus, a much lower uncertainty of the measurement,” he said. The 1 kHz laser diagnostic project began around three years ago and was to supply only a velocity capability, but with the successful demonstration of the 1 kHz CARS system, the SBIR effort is ongoing to provide Tunnel 9 the velocity measuring system as well as the 1 kHz CARS system. Smith said that effort should be finished in March of 2021. With the advanced laser diagnostics ability, the Mach 18 capability, which began five years ago, is moving closer to the finish line. Last year, the Tunnel 9 Mach 18 nozzle design was successfully verified using CFD codes. The nozzle is needed to extend the range of desired conditions from the Mach 7, 8, 10 and 14 currently available at the facility. 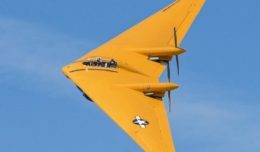 “This capability will provide for additional test customers, as it provides them with a badly needed higher Mach number test condition,” Smith said.